+ Q.1 How can I register myself on Landkhoj.com? • Click on Register Free, a Registration Form will appear. • Choose the Button for User or Agent/Dealer. • Fill all * marked fields, and click on Submit. • You will receive a Welcome message by Email and SMS as well as your profile will appear on your screen. • You will receive credit of 1000 points equivalent to Rs. 1000/- in “My Account” which may be utilized for any paid services on Landkhoj.com like Premium Advertisement, Quick Deal, Premium Agent, Top Trade Advertisement, etc. at anytime. + Q.2 How much I have to pay for registration on Landkhoj.com? Registration on Landkhoj.com is FREE for all Users and Agents / Dealers rather you get credit of 1000 points equivalent to Rs. 1000/- in “My Account” which may be utilized for any paid services on Landkhoj.com like Premium Advertisement, Quick Deal, Premium Agent, Top Trade Advertisement, etc. at anytime. + Q.3 While registering I get a message that says, “User name is not available.” What does this mean? Every user has one unique username on Landkhoj.com. This error occurred because either you or Someone else has already registered using the same username. You can try another Username. + Q.4 What are the advantages of registering as an Agent / Dealer on Landkhoj.com? First, You will get your own Website where your Profile and all your Listed Properties and Requirements posted will appear. A huge online viewers searching for Properties will be able to view all listed Properties or Requirements. Second, Users searching Agent / Dealers in your area will approach you. Page as well as on Top of Search Results and on other pages as well. + Q.5 How can I become Premium Agent on Landkhoj.com? A) While registering as an Agent/Dealer, you will find a window on your screen “Choose Plan". On choosing a plan you will become Premium Agent. B) Any Agent / Dealer can become Premium Agent at any time by upgrading as Premium Agent option in "My Account". C) Any user can become Premium Agent by Upgrading itself first as an Agent & then as Premium Agent in "My Account". + Q.6 How can I become Builder on Landkhoj.com? First you have to register as an User or Agent / Dealer and then you can upgrade any time to Builder (Ordinary, Regular and Premium) by exercising Upgrade option in “My Account”. + Q.7 How can I become Regular or Premium Builder on Landkhoj.com? First you have to register as an User or Agent / Dealer and then you can Upgrade any time to Regular or Premium Builder by exercising Upgrade Option in “My Account” and selecting any option appearing on your screen. + Q.1 How do I login to my Landkhoj.com account? • Click on Login on the homepage. • Enter your Username and Password and click on Login. • Also under the Existing User – Login Now ! Window appearing at various functions, Enter Your Username and Password and click on Login. • You will be successfully logged into your account. + Q.2 How do I logout of Landkhoj.com? Once you have logged into your Landkhoj.com, click Log Out link at the top of your page. + Q.3 What should I do if I forget my password? · On Landkhoj.com homepage, click on the Login link. · You will find Forget Password link. · Click on Forget Password. · Enter your User name and submit. · Your password will be sent through email to you. + Q.4 Can I change my password? • Login to your Landkhoj account. • Click on the My Profile link under "My Account". • Click on the Change Password link. • Enter your old & new passwords and click on Submit. • Your new password will become active immediately and New password will be sent to your email. + Q.1 Do I have to pay for search on Landkhoj.com? Search is absolutely FREE on Landkhoj.com. You can search for Properties, Requirements, Agents / Dealers, Trade Classifieds, Projects Launched in Launch Pad and Builders without registering and creating your profile on Landkhoj.com. + Q.2 How can I search for properties on Landkhoj.com? What are the search options available for searching properties? Advance Search: It is a more detailed method of finding your perfect property and helps you get exactly the kind of Properties and Requirements you are looking for. B) State Name in blue box with cities in that state . 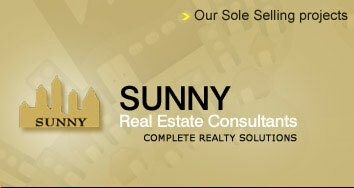 C) Select any one or all out of Locality, Property Type, Purpose, and click on Submit. All the Properties and Requirements matching your criterion will appear. and Requirements in a locality of your choice. Select Country from dropdown menu and you will get respective State Name in blue box with cities in that state. Select Locality and click on Submit. All the Properties and Requirements in that locality will appear. Property Type Search: It is a Property Type - specific search and allows you to find Properties and Requirements of the type you are looking for. Select Country from dropdown menu and you will get respective State Name in blue box with cities in that state. Select Property Type and click on Submit. All the Properties and Requirements of that type will appear. Purpose Search: It is a Purpose - specific search and allows you to find Properties and Requirements of the Purpose you are looking for. Select Country from dropdown menu and you will get respective State Name in blue box with cities in that State. Select Purpose and click on Submit. All the Properties and Requirements of that purpose will appear. ID Search: ID Search is on Classified Advertisement. Enter ID Number of Advertisement and click on GO button. The advertisement you are looking for will appear. It allows you to find Properties, Requirements and Trade Classifieds by their ID. Each Property Listed, Requirement Posted and Trade Classified submitted by any User or Agent / Dealer on Landkhoj.com is provided with a Unique ID. Any visitor on Landkhoj.com may search advertisement if he knows ID of a specific advertisement. Agent / Dealer Search: You can search Agents / Dealers registered on Landkhoj.com in Find Section on top of home page and Find Agent in Premium Agent Section. Result will be same in both ways. Select Country from dropdown menu and you will get respective State Name in blue box with cities in that state. All the Agents / Dealers of the State / City will appear with Premium Agents on Top. Buyer / Requirement Search: You can search Buyers looking for Properties and Users or Agents who have submitted their Requirements on Landkhoj.com in Find Section on top of home page. Select radio button on Buyer / Requirement. Select Country from dropdown menu and you will get respective State Name in blue box with cities in that State. All the Buyers / Requirements of the State / City will appear. Trade Search: You can search Advertisements submitted by different Traders / Service providers for the real estate community on Landkhoj.com in Find Section on top of home page. Select radio button on Trade . Select Country from dropdown menu and you will get respective State Name in blue box with cities in that State. All the Trade Classified Advertisements in the State / City will appear. Top listing of Trade will appear first. Quick Deal Search: You can search Advertisements submitted by Users or Agents as Quick Deals on Landkhoj.com in Find Section on top of home page. Select radio button on Quick Deals. Select Country from dropdown menu and you will get respective State Name in blue box with cities in that State. All the Quick Deals Advertisements in the State / City will appear. Premium Classified Advertisement Search: You can search Advertisements submitted by Users or Agents as Premium Classified Advertisement on Landkhoj.com in Find Section on top of home page. Select radio button on Premium Classified Advertisement. Select Country from dropdown menu and you will get respective State Name in blue box with cities in that State. All the Premium Classified Advertisement in the State / City will appear. + Q.1 What is the procedure for Listing my Property for Sale or Rent or Joint venture / Collaboration on Landkhoj.com as Normal Property, Premium Classified Advertisement and Quick Deal ? • Click on List Property - Sale / Rent on right hand side. • Pop up window will appear, fill up new user details. • Your Property will be listed as well as you will also get registered on Landkhoj.com. • You will get the preview of your Property Advertisement and your Profile on screen as well as registration details on your E-mail. • By Choose Plan Pop Up Window you can also List your Property as Premium / Quick Deal by paying a small amount for it, according to number of days. • Login to your Landkhoj.com Account. • Fill up the Form and upload Photos of your Property if any and Submit, your property will be listed. Your Property listed will immediately appear on screen under Classified Advertisement and will be searchable on Landkhoj.com. + Q.2 Do I need to pay to List my Properties on Landkhoj.com? No, it is FREE for all users. But if you want to List your Property as Premium / Quick Deal you have to pay a small amount for it, according to number of days. + Q.3 How many properties can I List on Landkhoj .com ? Users can list UNLIMITED Properties on Landkhoj.com. + Q.4 How can I make my Property a Premium Classified Advertisement on Landkhoj.com ? By Choose Plan Pop Up window you can Choose Plans & List your Property as Premium / Classified Advertisement on Landkhoj.com. + Q.5 After I have listed my property, how will I know if someone is interested in my Property? Person viewing your Property and interested in the same will send response to you by clicking Send Response Now Link on your Listing. Immediately you will get an E-mail with his contact details provided by him and the same will be saved in "My Account". + Q.6 How do I add a Photograph to my Property? • Click on Manage Property Listed under "My Account". • Click on Edit on respective Property Listing. • Upload photos and submit. • Photos of your property will be uploaded successfully. + Q.7 I am an Agent, how can I add my company’s logo on Landkhoj.com? • Login into your Landkhoj.com account. • Click on Manage Profile under "My Account". • Upload your company's Logo. • Your logo will be uploaded successfully which will also appear on your website created on Landkhoj.com. + Q.1 What is the procedure for Posting my Requirement of Property on Landkhoj.com as Normal Requirement, Premium Classified Advertisement and Quick Deal ? • Click on Post Requirement – Buy / Rent> on right hand side. • Fill up the Form and Submit. • Pop up window will appear. Fill up New User details. • Your Requirement will be posted as well as you will also get registered on Landkhoj.com. • You will get the preview of your Requirement and your Profile on your screen as well as registration details on your E mail. • By Choose Plan Pop Up window you can also Post your Requirement as Premium / Quick Deal by paying a small amount for it, according to number of days. • Click on Post Requirement – Buy / Rent on right hand side. • Fill up the Form and Submit, your requirement will be posted. • You will get the preview of your requirement posted. • Your Requirement Posted will appear immediately on screen under Classified Advertisement and will be searchable on Landkhoj.com. + Q.2 Do I need to pay for Posting Requirement on Landkhoj.com? No, it is FREE for all users. But if you want to Post your Requirement as Premium / Quick Deal, you have to pay a small amount for it, according to number of days. + Q.3 After I have posted my Property Requirement, how will I know if someone is interested in my Requirement? Person viewing your Requirement and interested in the same will send response to you by clicking Send Response Now Link on your Posting. Immediately you will get an E-mail with his contact details provided by him and the same will be saved in "My Account". + Q.1 What is the procedure for placing Trade Classified on Landkhoj.com? • Click on Trade Classified on right hand side. • Your Trade Advertisement will be placed as well as you will also get registered on Landkhoj.com. • You will get the preview of your Trade Advertisement and your Profile on screen as well as registration details on your E mail. • By Choose Plan Pop Up Window you can also Top List your Trade Advertisement by paying a small amount for it, according to number of days..
• Fill up the Form and upload Photos , Logo of your Trade and Submit. • You will get the preview of your Trade Advertisement. • Your Trade advertisement will be placed. Your Trade Classified will immediately be searchable on Landkhoj.com. • By Choose Plan Pop Up Window you can also Top List your Trade Advertisement by paying a small amount for it, according to number of days. + Q.2 Do I need to pay to place Trade Classified on Landkhoj.com? No, it is FREE for all users. But if you want to Top List your Trade Advertisement, you have to pay a small amount for it, according to number of days. + Q.3 How many Trade Classified can I place on Landkhoj.com ? Users can place UNLIMITED Trade Classified on landkhoj.com. + Q.4 How can I make my Trade Classified a Top listing on Landkhoj.com ? By Choose Plan Pop Up Window you can Choose Plans & Upgrade your Trade Advertisements as Top Listing. + Q.5 After I have placed my Trade Classified, how will I know if someone is interested in my Advertisement? Person viewing your Trade Classified and interested in the same will send response to you by clicking Send Response Now Link on your Advertisement. Immediately you will get an E-MAIL with his contact details provided by him and the same will be saved in "My Account". + Q.6 How do I add a Photograph and Logo to my advertisement ? • Click on Manage Trade Classified under "My Account". • Click on Edit on respective Advertisement. • Upload photos, Logo and Submit. • Photos and Logo of your Trade Classified will be uploaded successfully. + Q.1 How can I create my Website on Landkhoj.com? • Click on Dealers’ Web Site link on the Home Page. • Click on Register as Agent / Dealer to create Website (Free). • Fill up the Registration Form and Submit. • You will receive Welcome message by Email and SMS as well as your profile will appear on your Screen registering you as an Agent / Dealer. • You can then access "My Account" and click on Activate/Edit Website under Dealer’s Website Link. • View / Edit the Form appearing with your details and Submit. • Your Website will be active and will open on New Tab immediately. + Q.How can I create my Website if I have already registered myself as an Agent / Dealer on Landkhoj.com? • Access "My Account" and click on Activate/Edit Website under Dealer’s Website Link. + Q.1 How can I edit my profile? • Click on Edit Profile under "My Account" section. • Edit your profile and click the Submit button at the end of the form. • Your profile will be successfully updated. + Q.2 What is the procedure for editing My Property listing? • Click on Edit on Property Listing you wish to edit. • Edit your details and click on the Submit button at the end of the form. • Your property listing will be successfully edited. + Q.3 What is the procedure for editing My Requirement ? • Click on Manage Requirement Posted under "My Account". • Click on Edit on the Requirement you wish to edit. • Your Requirement Posted will be successfully edited. 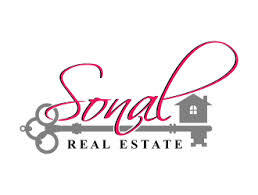 + Q.4 Why the properties that are sold, still coming in search result ? We are allowing Listing and Posting for a certain period and expiry date is shown on each advertisement in user’sMy Account . We request the users to delete the advertisement as soon as they achieve their purpose of listing and posting on Landkhoj.com. Though we get full support from our users but sometime they forget to delete the advertisement due to oversight. We highly regret this inconvenience. If in future you come across such an advertisement, you can report this issue to us. We will take an appropriate action. + Q.5 Why are we not receiving any responses for our properties listed on Landkhoj.com? + Q.6 How to Make Payment for various paid services on Landkhoj.com ? Go to "My Account" and Click on Recharge My Account and follow the steps. Equivalently Points will be added in your Account.